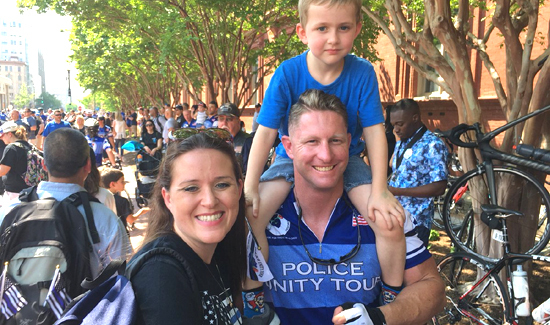 WASHINGTON, D.C. – Families of law enforcement officers killed in the line of duty are assembled for a national memorial service in Washington, D.C. this weekend. Among those attending is the family of fallen Orlando Police Lt. Debra Clayton, who arrived in the capital with a group from the department. Her name will be engraved into the wall at the National Law Enforcement Memorial. Orange County Deputy 1st Class Norman Lewis, who died in a traffic accident, will also be honored. The families of Kissimmee Officer Matthew Baxter and Sgt. Richard “Sam” Howard are also attending the memorial, who were gunned down in August 2017. Channel 9’s Racquel Asa spoke with Baxter’s widow, Sadia Baxter, in April about her recovery process. Juggling three girls and a career in law enforcement, she is a single mom not by choice but by tragedy. “Every time I look at them, it’s a reminder of the kind of man he was and the kind of father he was,” Sadia said. Check out the photos and video here.